How To Get Six Pack Abs | What Really Builds Muscle? It seems that virtually everyone wants six pack abs these days. Yet few people ever achieve them. So if you do manage to get a six pack it sets you apart from the ‘average Joe’. And although it will take a fair degree of determination, the approach required to do it is actually very simple. So in this article I’ll describe exactly how you can get six pack abs. But first you need to realize that there are no quick fixes. You won’t get a six pack by simply doing an eight minute ab workout every day. Or by using the latest gadget you heard about on the shopping channel. To get a six pack you will need to do two things – build up your abdominal muscles and burn off the fat that covers them. Contrary to popular belief, the best way to build up your abdominal muscles is NOT to do hundreds of sit-ups or crunches every day. The main role of the abdominals is to brace the body, so doing exercises like deadlifts (especially sumo deadlifts), squats and military presses will strengthen and build the abs better than most things. When you do these exercises focus on contracting your abs really hard. If you’re not used to doing this you’ll probably find you’ll be quite sore the next day. You can however bring your abs up even further by doing an isolation exercise or two at the end of your workout a couple of times per week if you wish. Some excellent choices for this include weighted crunches, reverse crunches, cable crunches, planks, side planks, hanging leg raises and ab wheel rollouts. Just do a warm-up set or two followed by two sets of anything between 8 and 20 reps (or 30 – 60 second holds for planks). If you can do more (or longer) than that you need to add more resistance or do a more difficult version of the exercise. You may have really well developed abdominal muscles, but if they are buried beneath a layer of fat no-one will ever see them. So you need to burn off the fat that covers them in order to reveal your six pack. But as it’s impossible to spot reduce that means you will need to reduce your overall body fat percentage in order to make this happen. And to do that will take two things – proper diet and effective cardio. Your diet is the most important factor here; especially in the early stages. You’ll need to eat at a calorie deficit, but keep your protein intake high and your carbohydrate intake relatively low. But don’t go too low as you need carbs to stoke your metabolism, as well as to keep your testosterone levels high and maintain your muscle mass. You also need to eat a moderate amount of healthy fats, as well as plenty of fruit and vegetables. Eat mostly natural whole foods and avoid processed, refined and sugary foods as much as possible. And don’t worry about the number of meals you eat per day. Three meals will work just as well as six, provided that your total calories and macronutrient proportions are the same. 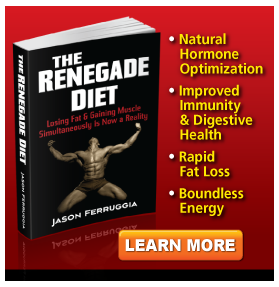 To find out more about how to eat to lose fat see this article. The leaner you get the more important cardio becomes, and it’s essential when you are trying to get rid of those last few pounds so you can make your abs really ‘pop’. But it needs to be effective cardio. And going out jogging for an hour every day is not very effective. Long duration steady state cardio like jogging does not burn fat very efficiently – and it will waste away your muscle tissue too. So do a short high intensity cardio session two or three times per week instead. A great example of this is sprint intervals. Here you simply sprint for 20 – 30 seconds and then walk for 30 – 60 seconds. And this is repeated 6 – 10 times. The big advantage of high intensity cardio is that it really revs up the metabolism so you continue to burn fat well after your workout has finished – up to 24 hours after in fact. Sometimes even more. But it’s important not to overdo it as this type of training can be difficult to recover from. Apart from that the only other type of cardio I recommend is walking. You can walk for 30 – 60 minutes 5 – 7 days per week if you wish. And because you can do it so frequently it can have a significant impact on your fat loss efforts, whilst only having a minimal effect on your recovery from your weight training workouts. So that’s how you get six pack abs. It’s simple but it’s not easy. It will take effort, determination and willpower. But if you want to achieve it you most certainly can. Best of luck. This entry was posted in Training and tagged lose fat, six pack abs by David. Bookmark the permalink. I worked my knees down until I had runner’s knee. To make the long story short, I ended up combining my cardio with my strength training with calisthenics. Using the Bar Bros Program, I finally attained the abs I’ve been wanting without all the pain of running tons. You don’t seem to mention sprints in your article JM, just running in general. And I’d be surprised if a few 30 second sprints a couple of times per week would affect your knees much. I had all sorts of problems when I was doing distance running though (a long time ago now). The constant pounding wreaks havoc on you in all sorts of ways. However there’s nothing at all wrong with combining your cardio with strength training and I give some methods of doing this in my article on high intensity cardio (though granted these examples are intended as ‘finishers’ really). Thanks for stopping by.